There was a wonderful article in the November issue of Blouin Art+Auction magazine about Master Drawings and their current market state. Not all that long ago, collecting - or even appreciating - drawings was considered the domain of the few and far-between, the occasional person with a great deal of erudition, an environment where light and temperature control are carefully controlled, and, often, a good deal of money. Schuster quotes Matteo Salamon, of Milan's Salamon & Company (specialists in 15th-19th century art), as saying, "I sell Old Master paintings to buy Old Master drawings. When I sell a painting, even an important one, it's just business. When I talk to clients who are interested in drawings, I know they are passionate collectors. Most who buy a drawing do so because they like it, not because they were told to like it or because others will admire it." This is another example of the auction price being far higher than the estimate, $47,500 versus a $20-30,000 estimate. I find the same is true in my own art world. I am always delighted and flattered when someone likes my drawings and wants to acquire one. When I began specialising in silverpoint drawing, I found that almost no one knew about the medium, which was entirely understandable, given its rarity, but I also found that few people appreciated that you could have a drawing as a finished work of art. That has changed completely. As drawing has become more accepted, recognised and esteemed in the art world, so people have become increasingly passionate about the different versions of drawing. Be it silver or metalpoint, graphite, pen and ink, coloured pencils, charcoal or any other dry medium, there are people who fall in love with works done in one or more of these media. It seems to be a special "addiction", this yen for drawing. Both for the artist producing drawings and for those who start to appreciate and/or collect them, there is always the next horizon. Perhaps there is the aspect of size and accessibility: most drawings are of an intimate size and need for the viewer to be close to them properly to see and appreciate them. Small wonder that the "cabinet de dessins" was traditionally in the heart of a home, where the drawings were close to hand and daily companions. 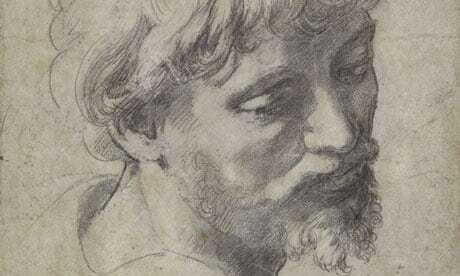 There is another aspect of drawings that attracts people: the fact that a drawing is often an exploration, a means for the artist to understand something. Renaissance artist were famed for their studies - think of Leonardo da Vinci seeking to understand everything from human anatomy to how water flows, for instance. 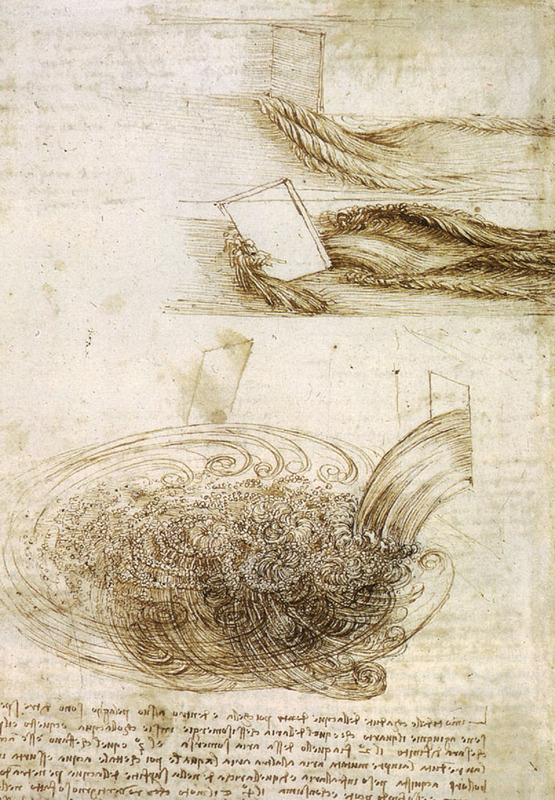 Whirlpools of water, from Leonardo da Vinci, pen and ink, 1508-09, Windsor, Royal Library. That questing, that analysis, that observation - the act of drawing in that manner makes a drawing accessible on a deep level to a viewer. The artist shares with the viewer his or her journey through the artistic process, as the drawing is created. In essence, a drawing is a very modern affair, just as much a "happening", a performance, a mise en scène, as any of the other versions of art so popular today. No wonder people get passionate about drawings! They can be dramatic and addictive - just the ingredients for today's world.